Top Eleven is the most successful football manager on Android: About 10 million downloads speak for themselves, and the game can be played alternately from computer and smartphone. Do you want to be like José Mourinho, coach of FC Chelsea London and set up a team, train and lead them to success? If your answers is yes, then Top Eleven might be just right for you. We have tested the football manager and show you what you can expect when you get started. Samsung Galaxy S2 4.1.2 No 2.17 ? Through the series of the FIFA Soccer Manager this game genre is likely already known. You don’t actually play the games yourself, instead take care of setting them up, coordinating youth work, manage financial areas, and more. This allows you to get an insight into the world of football off the field. What many consider as a side thing soon turns into an obsession. The construction is great. In my opinion, everything is done right here. You are beautifully introduced to the game, then provide your club and yourself with a name and away you go. From the transfer industry to the stadium or the finances, everything has a completely separate menu. In the main menu, each heading is provided with a beautiful picture and the main data remains clear at all times. The colors here are flamboyant and colorful and are ideal for the theme. What’s more, nothing seems overloaded and everything is in the right place: in the transfer market, for example, auction that will soon end appear first, the dates give a perfect overview of all game days. Each day is a new game day - a new league match is therefore planned. There are also Championship, League and Friendship Games, if you qualify. A simulated duel takes about 10 to 15 minutes - formations, tactics and game events can be followed via a live ticker. During the short playing time, it doesn’t end up getting boring without animated gameplay - every few seconds something exciting usually happens. When signing up with Facebook, all your friends who also play the game can now be competed against. Acquired awards or completed actions can be posted directly. Even the opportunity to play against Mourinho exists. There are also countless ways to make the most of your team! There are tokens that represent a sort of game currency and are of great importance. Tokens in Top Eleven have a central role: they are required to bid for new players, to buy jerseys, for the club or to accelerate processes. These are the basic building blocks of success: earn tokens and learn how to spend them wisely. Nordeus contract: Here you get(whether you must login in Top Eleven or not) a token every day, meaning up to 28 tokens per 10 days is possible. 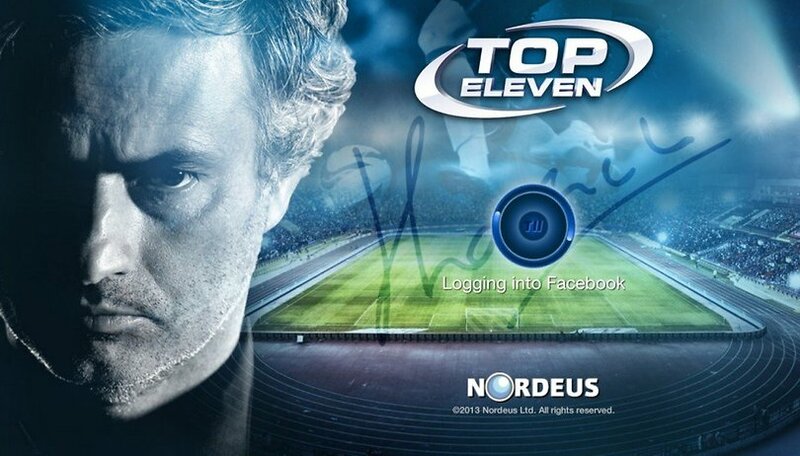 Speed ​​Contract: this is a bonus for regularly logging into Top Eleven. For four consecutive times, you get a bonus, meaning then up to 35 tokens for every 10 days maximum. Topkers contract: this sponsor brings you more tokens if you successfully defeat your opponents . While the contract isn’t that long, this could be to your advantage in that you don’t have to wait a long time if you don’t like it. This contract involves up to 30 tokens. Topofone contract: this sponsor gets you the fewest tokens in Top Eleven. You do however get all 21 tokens at one time and can really make good deals on the transfer market when the time comes (available only after level 4). In addition to tokens, there is also the normal virtual money. It’s very important to invest virtual money in the club. For example, by expanding the stadium or improving youth work, you will be able to get more virtual money over the long run, which you can then turn around and invest in the game. Of course, not everything should be arranged in the stadium, which could leave you with a bad squad. You’ll have to learn a certain balance, which in best cases leads to success. Many other tasks are waiting for you: you will need to constantly buy new players, the players' contracts need to be extended if you want to keep them and by advertising contracts, you should ensure financial security. The game which appears to be simple, is full of many complex and economic components that need to be considered. 1) Award training points. Through automatic assignment, strikers will also be given points in the defense, for example . The coach, you, can better decide in which area players should specialize and this makes a huge difference. 2) If you have the chance, broadcast all games live. This will get you a moral and a condition package as a reward. These can then be used to improve the performance of individual players. 3) Only put money in the transfer market on one player and only when you are really sure you want to bid more money. An auction always costs you one token and won’t be returned regardless of the outcome. In the game, you start right at the bottom and of course, you want to be at the very top. The motivation here can be huge: after seasons full of work and time, you could qualify for the Champions League or have an absolute dream team. Unfortunately, this is also quite difficult and is the case for many apps which involved in-app purchases. In Top Eleven, you can spend your real money for tokens. This can seem naturally pretty stupid and unfair if you are saving for a long time. Without spending real money to keep in the league, it becomes quite difficult, but is in fact feasible, though quite challenging. An alternative is to do certain tasks. Some of these cost nothing and can be completed quickly (for example, watching some videos), whereby a payment is avoided. Nevertheless, it might bother some time think that other players make use of in-app purchases and gain massive advantages. This can leave a player feeling defeated. Top Eleven has very easy and intuitive controls and the structure is set up providing a clear overview. The most important functions are visible and easy to use. The app ran smoothly at all times and never crashed, but at the same time doesn’t require the more powerful hardware. Top Eleven is free. For this, the user is offered an incredible amount. Rarely there is ever so much support that is so active: they are quite concerned about delivering improvements and fulfilling wishes. However, the negative side here are the in-app purchases. Of course, the developers want to earn some money, yet they could make the implementation in the game a bit fairer. Top Eleven is a Football Manager that has a lot to offer: from creating your own coat of arms to receiving beautiful trophies, the ways to earn money...there’s everything you could wish for. The entire game is also always well structured, clear and packs great controls and a nice design. However, a small feeling of injustice remains due to in-app purchases. Overall, however, Top Eleven is a great app: appealing and most extensive football manager available for mobile devices.